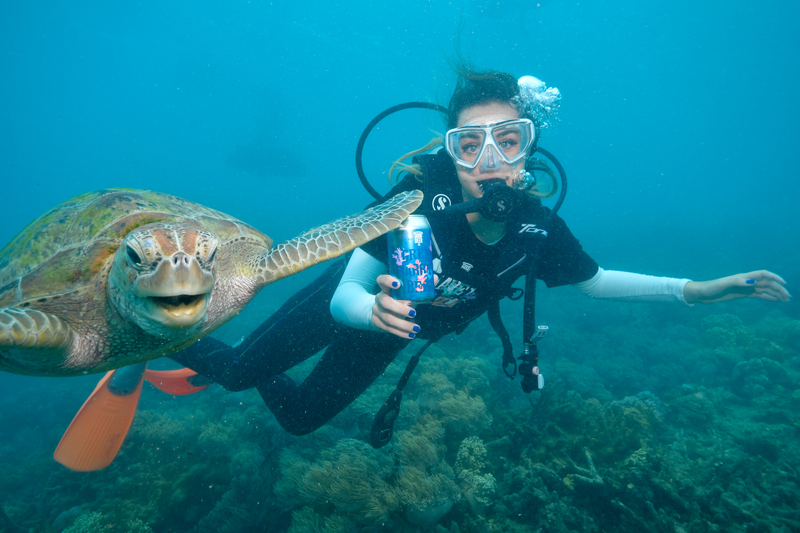 QLD social enterprise beer company, The Good Beer Co has teamed up with BWS and Dan Murphys to issue a call to action to tourism and hospitality businesses, the local community and national and international tourists: "buy a beer and help the reef." 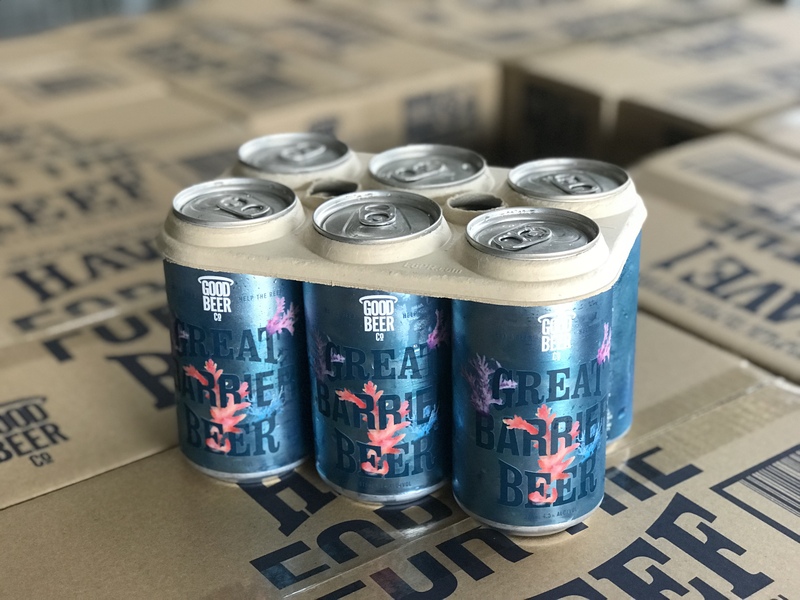 Continuing their work with national environmental charity, the Australian Marine Conservation Society (AMCS), The Good Beer Co has launched a new Great Barrier Beer in cans to help raise funds for the AMCS and their vital work to protect Australia's national icon, the Great Barrier Reef, from the threats of climate change and pollution. The "Australian Lager" is brewed with all Australian ingredients for The Good Beer Co by award winning independent Queensland craft brewery Ballistic Beer Company in Brisbane. Ten percent of the price of every keg and carton sold will go directly to the AMCS to help fund their work to protect the Reef through the Fight for Our Reef campaign that is building a movement for urgent action on climate change. In addition to brewing a good beer for a good cause, The Good Beer Co is taking steps to ensure that the beer is also brewed and sold environmentally responsibly. Great Barrier Beer's potential to help raise the profile of the plight of the Great Barrier Reef was a finalist in the prestigious 2018 Banksia National Sustainability Awards in the Minister for the Environment's Award category. The Good Beer Co is also phasing in the use of new biodegradable six pack holders to replace recycled plastic and working with Australian industry leaders Biopak and the independent brewery industry to introduce the new packaging in Australia. The Good Beer Co Founder James Grugeon said he was excited to be working with national retailers BWS once again, following their support for the pilot Great Barrier Beer, and to have Dan Murphys joining BWS and award winning local tourism operator Sunlover Cruises to get the beer and its important message out to a large audience. "This is a great Australian Lager for a great Australian icon. Thanks to BWS ongoing support and the new support of Dan Murphys and Sunlover Reef Cruises we are able to sell this delicious beer for an important cause across Queensland, build our start up social enterprise and take steps to lead action on sustainability in the industry to enable us to do more good in the process." Sid Ajala representing BWS and Dan Murphys said: "We're delighted to be backing The Good Beer Co and Great Barrier Beer, building on BWS's support for The Good Beer Co's pilot Great Barrier Beer. We're not only giving our customers across Queensland the chance to try a great new beer, we're also supporting a start up social enterprise, a great cause and concept and an award winning local craft brewery too. It's a win, win, win for us and our customers." Pictures courtesy of Calypso Reef Imagery.